The Royal Ontario Museum offers a variety of membership levels, from discounted single student memberships right up to the Patron Circle levels for museum donors. While the perks at each level vary, the most basic benefit of any ROM membership is the unlimited free admission. But for individuals and families who sign up for a ROM membership, there are many other lesser-known benefits to sweeten the deal. Here are a few of the best. When you walk in through the front doors of the Royal Ontario Museum, one of the first things you'll usually see is a large line of people snaking away from the admission desk. But if you have a membership card and photo I.D. with you, you get to walk right past all of that. A quick I.D. check and membership card scan from the admissions people, and you're inside - minus the lineup. And even if you do need to stop by the admissions desk for help with something, there's a separate (always much shorter) line for members only. A ROM membership also gets you unlimited admission to special ticketed exhibitions, depending on your level of membership. If you get peckish during your ROM visit, members also save 10% on most items at ROM Druxy's Cafe when they present a valid ROM Membership card. The cafe has an expanded menu that now includes burgers, pizzas and other grilled and hot foods. ROM Members will also save 10% off of their meal (alcohol not included) at the Gardiner Museum’s restaurant, Gardiner Bistro by à la Carte, located in the third floor Terrace Room. All you need to do is present your ROM membership card at the beginning of your meal to receive the discount. If you're the kind of person who's considering a ROM membership, you're probably interested in behind-the-scenes details about the work the ROM is doing. That's where the ROM Magazine is a great membership perk. This quarterly printed magazine, gives you inside info on what's going on at the museum, from new exhibits to stories about some the ROM curator's favourite objects. Members receive a subscription to the publication when they sign up. Non-members can purchase one for $20. All ROM Members also receive monthly newsletters and special bulletins by email, to keep them up to date on everything taking place at the ROM and to let them know about special opportunities for members. The ROM regularly offers special lectures, tours, and exhibition previews which are only open to members. There are other events for which members receive a discount, and for which members are allowed to register before anyone else. The e-newsletters help members stay in the know about these special opportunities, but if you'd like to have a look at the kind of thing members can expect, visit the Activities and Programs section of the ROM website and browse the calendar of events, selecting "Members Events" as the event type. Along with ROM Membership comes reciprocal admission to some other museums and galleries. The list of other places you can go for free gets longer with different levels of ROM Membership, but at the very least you should be able to head to some Canadian institutions such as the Vancouver Art Gallery, Art Gallery of Nova Scotia, Glenbow Museum, Kamloops Art Gallery, Montreal Museum of Fine Arts and the McCord Museum of Canadian History. ROM Members also have the opportunity to visit many local museums and art galleries on select days for free. Okay, admittedly this is all part of that biggest perk, the unlimited general admission. But if you're on the fence about getting a ROM Membership, consider this: the Royal Ontario Museum is a very big place. Trying to see it all in one day makes for a very long visit, and a lot of rushing around. 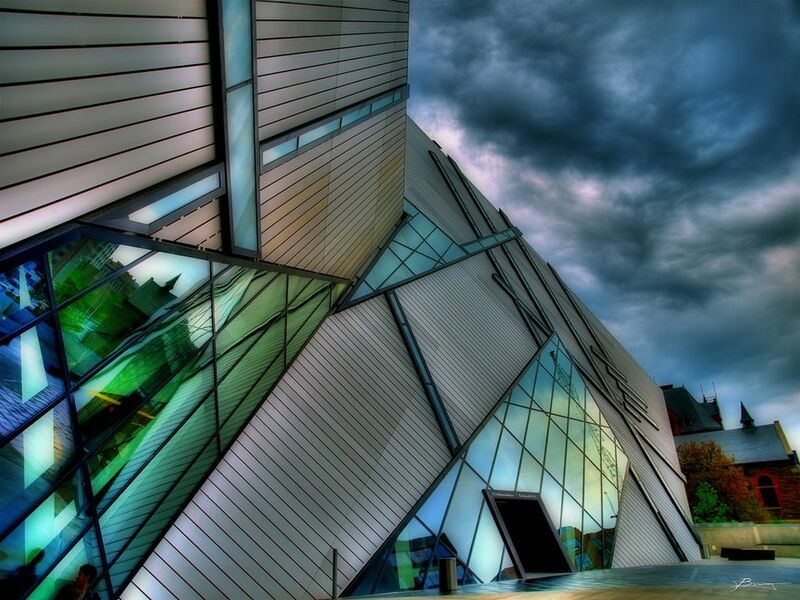 If you live in the City of Toronto or visit on a regular basis and can get to the ROM without too much trouble, you'll probably find it's a much more pleasant experience to explore the museum at your leisure, an exhibit or two at a time. You can read the details about the pieces, take the time to discuss and reflect, and return to your favourites. While a one-day marathon visit could be more memorable as an event, many shorter visits let you really take in what the ROM has to offer.